Real Friends’ new song “Unconditional Love” is up on Spotify and Apple Music. Real Friends will release their new album, Composure, on July 13th. They’ve also debuted the new song “Smiling on the Surface” and pre-orders are now up. Kyle Fasel of Real Friends has released a book of poetry. I am continuing to better myself so that Warped Tour this summer will be a fresh start for not only me, but for Real Friends as a whole. We all want to be the best possible versions of ourselves as individuals and in turn be the best possible version of Real Friends. 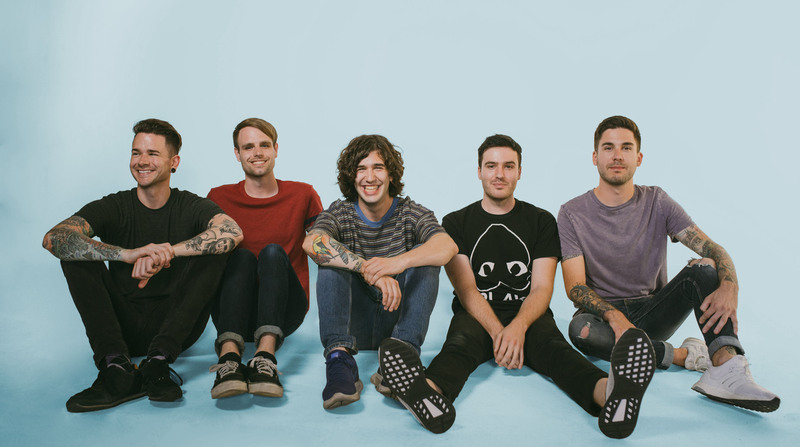 Real Friends have shared two new acoustic videos as part of their “Something Old, Something New” YouTube series. Real Friends are heading into the studio with A Day To Remember’s Jeremy McKinnon and Andrew Wade. Real Friends have released their new song “Get By” on Spotify and Apple Music. A woman has come forward to allege inappropriate comments were made by Kyle Fasel’s (Real Friends) father. Apparently Mr. Fasel attends shows often and drives fans around. The screen shots allege these comments started when the woman was 14. Dan Lampton of the band has said they will be responding in more detail later today. Update: The band have posted an update on Twitter. You can also read that below. Real Friends are on the latest episode of the Rock Sound podcast. Knuckle Puck and Real Friends have announced their annual holiday “extravaganza” in Chicago. Real Friends are currently writing their new album. Real Friends have announced a new headlining tour. Have Mercy and Tiny Moving Parts will be opening. You can find the dates below. Real Friends are postponing their December UK tour. Rationale., featuring Real Friends’ vocalist Dan Lambton and Knuckle Puck’s vocalist Joe Taylor, have released their new song “Quarter Life” on Bandcamp.